There are a LOT of prepper oriented blogs on the internet. A LOT! You could spend a whole day (or more) trying to do just a brief visit of many of them. As a prepper blogger myself, I spend a bit of time reviewing other blogs for some essential reasons. Partly for my own education and entertainment, and partly to see what trends preppers seem to be interested in. I then try to fill gaps with my own articles. Some sites, like my own, publish original content with the occasional guest article. Other sites re post good article and serve as sort of a “Readers Digest” for the prepper community. The following 10 sites are simply my favorites currently. They may or may not be listed on anyone’s “Best” prepper lists, but they are the ones that I enjoyed the most this last year, and had the most influence on both my writing and personal prepping direction. Check them out. They are listed in no special order. This is a U.K. based site that has some really interesting content. The owner is former Brit military, and has some very interesting points of view that are often not in line with “mainstream” preppers. Much of his content revolves around U.K. politics, but he also has a large archive of practical prepping articles. “Thoughtfully” will often cause you to stop and re-evaluate pre conceived ideas you may have. Many Americans forget that there are other defenders of Western Civilization that see the issues through different eyes. Worth reading and worth subscribing to. When I came home from six years of security contracting overseas and settled in Arizona, I began re doing my preps based on the desert location I was in. This was the first blog I began actively reading because the content is written by a combat vet with much of the same experience I have, and he also resides in Arizona. His articles tend to be longer than the average “puff” prepper reads and he focuses on practical, useful information. And he does it in detail. His articles are well researched and well written and you actually get knowledge from what you read. Worth subscribing to. Granny is a relatively new site and has a lot of good articles from the homesteading natural living point of view. She will tell you a lot of things your granny would have told you were she still around and she links to a lot of very readable articles on other sites. She wrote a good book on surviving Grid Down. This site has a large amount of archived material that runs the entire gamut of prepping. Like Graywolf, their articles tend to be a bit longer and more informative that your average prepper “Puff” posts. Great for research on subjects that interest you. These folks post a large amount of tactical oriented material. Their articles are well written and illustrated. Large amounts of tactical training tips and equipment reviews. I use them often for research and general knowledge. They also provide online training courses, but since I have not taken any, cannot comment of them. This blog has been around for some time and is currently number 2 on the Prepper Website Top Prepper List. ( I think I am somewhere around 37). Great archive of articles and I use it some for research. This is a seriously patriotic blog that tends towards a lot of tactical information. They have an extensive archive of articles of use to preppers. They also advertise an “elite” membership but I havn’t indulged. Their free content is very useful. Dr. Bones and Nurse Amy are a husband/wife doctor/nurse team that has one outstanding blog that deals primarily with medical issue related to survival. 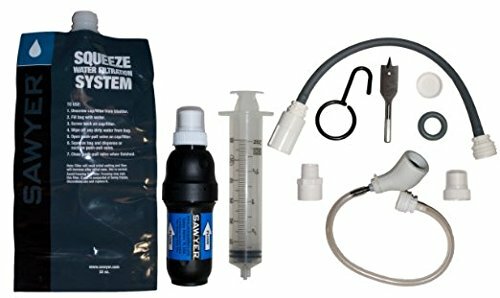 They have a TREMENDOUS archive of survival medicine oriented article and I highly recommend you spend some of your prepping studies on their site! This is a relatively newer site that posts not only his own written material but re posts really good articles from other sites. (He has re posted a number of mine). And finally, the grandaddy of them all. 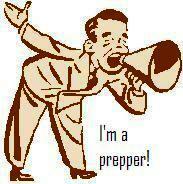 Prepper Website is a daily reader’s digest of current prepper articles. He reviews articles on a daily basis and posts links to those he thinks the prepper community will benefit some. If your article makes it to his daily page, your hits explode! This is a great place to start and he also has a tremendous archive by subject. A great place to prepper research. He also hosts the Prepper Website Top Prepper Sites list where the prepper community can vote for their favorite prepper blog once daily. I am now #37 out of 167 listed sites. So, those were the top 10 sites I spent my time on in 2015. I am sure the list will change a bit in this coming year, but I can highly recommend all ten of the above. Humble thanks to Azweaponcraftprepper for our inclusion in ‘My Top 10 Favorite Prepper Blogs for 2015’! Don’t hesitate to let us know subjects you’d like to see on the blog or in our On Line Classroom! Wow, thank you for listing me in there! If it weren’t for you and Thoughtfully Prepping, I’d be boring.